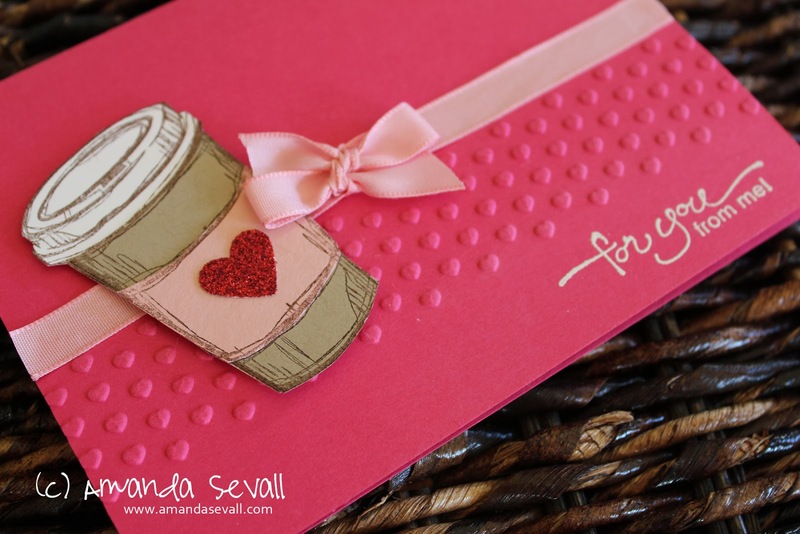 Amanda Sevall Designs: 365 Cards: For You From Me! I couldn't avoid making a Valentine this year with one of my favorite stamp sets! Simple, cute and fun! I stamped the coffee cup on Whisper White, Crumb Cake and Blushing Bride card stock, then carefully cut out the pieces I wanted, using all of the Whisper White stamped image as my base to glue the other pieces to. 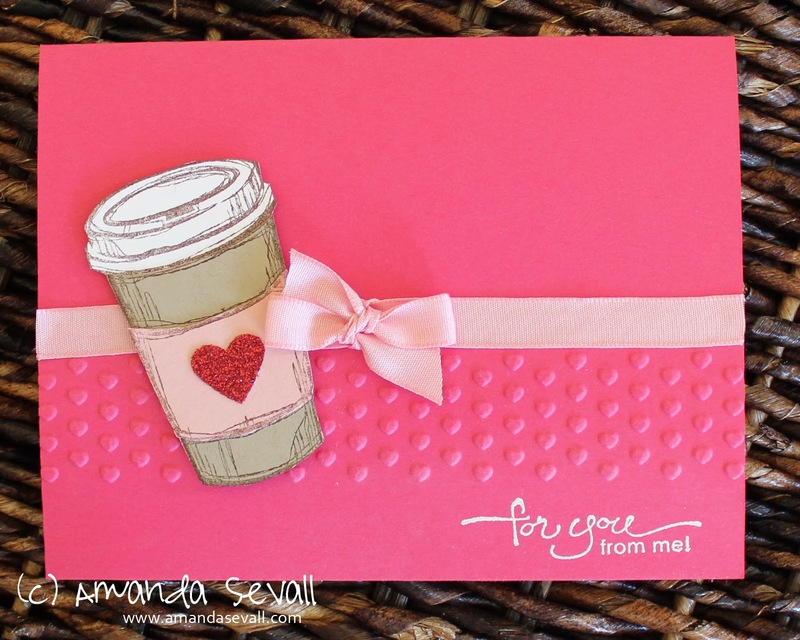 Perfect for a Starbucks or Peets gift certificate, don't you think?! Yes, definitely perfect with a coffee gift card!